where each number is a joint angle in radians. Below are code snippets in Python, MATLAB, and Mathematica that you can modify to create your own CSV files. This page contains information on getting started quickly with V-REP. 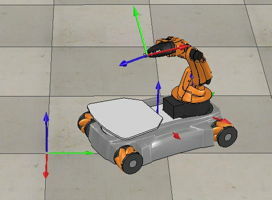 This page contains a number of scenes that accept CSV file inputs for visualization of robot trajectories. The code below is a somewhat simpler version.